When looking to buy a new sewing machine, one of the decision you may need to make is whether you want a top loading bobbin or a front loading bobbin system. Both options have their advantages and disadvantages. 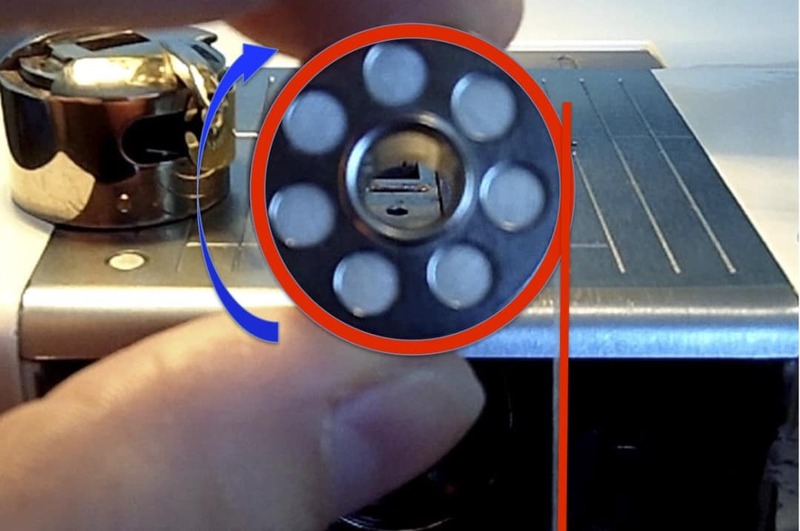 I personally have a top loading bobbin sewing machine, which I am going to use to show you how to load a top loading bobbin. It’s easy once you know how, but there are a few tips to keep in mind to make sure it’s done right. There are a couple of tips that I want to share with you to help make sure you have your bobbin loaded the right way. Before loading your bobbin into the sewing machine, it’s important to check that the thread is running in a counter clockwise direction. When you hold the bobbin up with the thread hanging down it should look like the letter ‘p’. Checking this may avoid your thread tangling in the future. 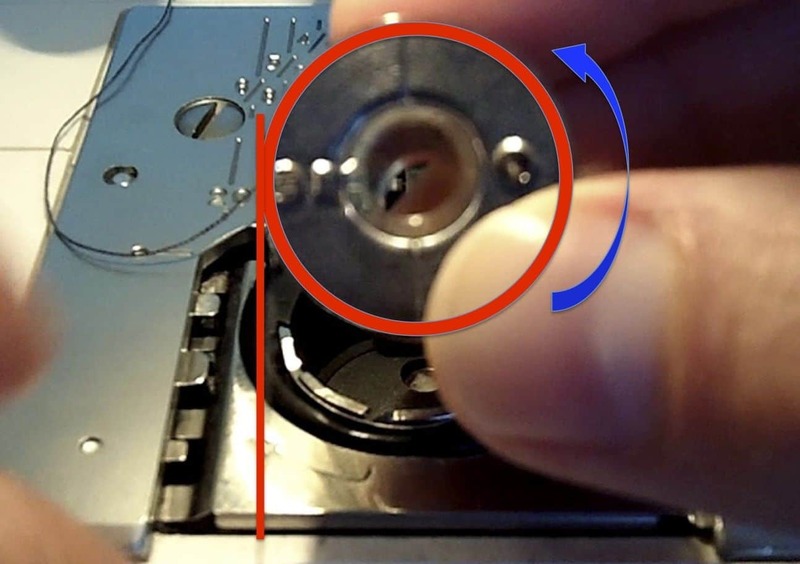 Also ensure that the thread is running between the tension spring blade and the bobbin casing. This will help with having good tension and getting a great result from your sewing. You can see these steps clearly in the video above. Once this step is complete you are ready to start sewing. Don’t stress too much if you havent actually sewn with your sewing machine before. That part’s coming up next in the Learn to Sew Series of videos and posts. Leave me a message below or email me here if you have any questions or comments during your learning to sew journey. I would love to hear from you. Sign up to receive email updates from Easy Sewing for Beginners to be kept up to date with all my new tips, tricks, learn to sew videos and easy sewing projects. I’ll only send you emails that will help you in your learning to sew journey.